The third edition of the Paris International Shoulder Course achieved a significant increase in attendance. 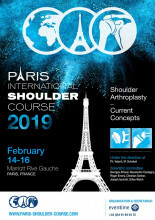 The Paris Course has become an inescapable event for anyone interested in Shoulder Replacement and is now the world’s largest meeting on this subject. As the 2017 course format and content showed a high satisfaction level, and in spite of the absence of our kind and charismatic friend « Philippe », we are now working on a 4th edition, PISC 2019. Our principal goal remains to offer to all levels - from junior trainees to experts in the field - a range of practical information with regard to new techniques and ideas. Particular importance should be given to younger shoulder surgeons, enabling them to increase their knowledge. 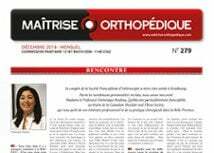 The goal is to offer better treatment to our patients, and, with this in mind, we will propose a scientific program with up to date information concerning long-term results and latest innovations on shoulder prosthetic arthroplasties. This course belongs to you, and these 3 world- class scientific days will be of great benefit to everyone. A large conference area will be set up for debates where experienced specialists will be able to share their knowledge and examples of difficult cases. Importance should be given for technical innovations regarding the pre operative planning of shoulder arthroplasty. Live surgeries with various arthroplasties will be performed by the main experts of the world. And, of course, this event will be, once again, a great occasion to network with your colleagues from all over the world.